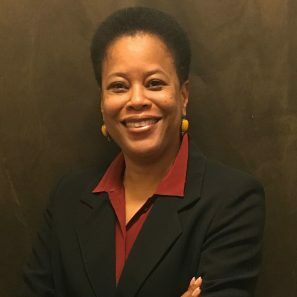 Sherry Williams is Director of Programs and has served as Project Manager on M3 Consulting projects for over 25 years, serving clients in the local, national and global arenas, as well as private sector clients. Ms. Williams has inclusion expertise in the areas of economic development, procurement, M/W/MWBE and supplier diversity initiatives, workforce and EEO programs, housing, agriculture, and international business. She specializes in innovative inclusive program design and implementation, public policy and legislative development and economic research and analysis. She has provided research and consulting to well over 100 clients. Her combination of legal insights, sound advisory services and solid research has led to major shifts in an organization’s view of itself and its means for achieving real results. She is an innovator, designing both race/gender-conscious and race/gender-neutral programs that achieve the objective of increased contracting activity with underutilized groups. She is an expert on Croson and Adarand and progeny and works with governmental entities to navigate through the legal, political and community issues that arise as a result of M/WBE programs, litigation and community concerns. Based on her extensive experience interpreting Croson cases, prior to the U.S. Supreme Court holding in the 2015 Inclusive Communities Project v. Texas Housing and Community Development, she correctly anticipated the selection of Justice Kennedy as the drafter of the opinion and the nature of his decision regarding the continued utilization of disparity analysis. Ms. Williams has continuously advised her clients to prepare for an increasing stringency from the Supreme Court regarding race/gender-conscious programs by focusing on systemic and structural change. Ms. Williams is also the founder of the National Institute on Inclusion, which inculcates business and public-sector leaders and administrators on the issues of inclusion in their policies and practices through training and role play. Ms. Williams holds a B.S.F.S. from the Edmund J. Walsh School of Foreign Service, Georgetown University and a J.D. from Emory University School of Law. Mr. Miller assumed the CEO position upon the passing of our founder and serves as a Senior Consultant & Assistant Project Manager/ Procurement & Contracts on all procurement, EEO and disparity analysis and has worked on disparity studies for 17 years. 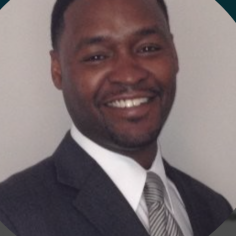 Mr. Miller, Jr. is adept in the analysis of complex contract data activity for public sector organizations. On M³ Consulting efforts, he has participated in budgeting, disparity study design, data collection and analysis, client support and final presentation of findings. As Data Manager, Mr. Miller is responsible for directing project teams, consisting of client employees, subcontractors and consultants, to gather and consolidate client data for evaluation and analysis. Mr. Miller has also worked to develop Miller³ Properties. He brings experience in the sales and acquisition of real estate property, having functioned as both broker and purchaser. Mr. Miller has performed large scale residential relocation and property identification. He has worked with buyers and sellers at the private and public-sector level and is knowledgeable of HUD assistance requirements as well as home appraisals and inspections. Participated in procurement of ERP system for Office of Revenue Business Tax License software. Mr. Miller received his B.B.A. in Marketing and Management from Morehouse College. 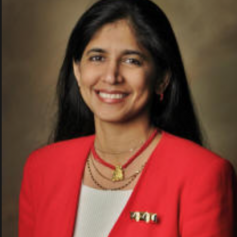 Bringing over 25 years of experience in economic development research, Dr. Vijaya Subrahmanyam has served as Statistician since 1992 and as Principal Investigator on M³ Consulting research efforts since 2006. She has developed methodologies for research studies in EEO, housing studies and mortgage lending and contributed significantly to upgrading our disparity study analysis. Dr. Subrahmanyam has expertise in the areas of finance, governance, economic development, procurement, workforce and employment, and housing. She concentrates on economics and developmental issues, focusing specifically on the economics of discrimination in contracting and employment, employment and compensation, valuation of damages, compensation modeling and analysis and the use of statistics in litigation. Dr. Subrahmanyam has provided research and consulting to well over 100 clients at the local, state and national levels. Dr. Subrahmanyam has been fully responsible for the design of methodologies used for regression analysis, statistical significance testing, capacity analysis, survey and anecdotal sampling methodologies, and survey design and analysis. She is the leading national expert on the application of regression analysis on statistical analysis of disparity in any field. Dr. Subrahmanyam has also served as an expert witness on both disparity in contracting and disparity in employment efforts. Dr. Subrahmanyam is a professor of finance at Mercer University. She holds a doctoral degree in Finance and a Master’s degree in Economics from Southern Illinois University at Carbondale, Illinois. Previously, she was a tenured professor at Clark Atlanta University (CAU). Dr. Subrahmanyam has extensively published in several premier finance journals and effectively blends her teaching with her research interests and experiences in consulting. Besides Mercer and CAU she has taught at the University of West Indies, in Jamaica and given lectures at the Symbiosis School of Bank Management, India, Indira Institute of Management, Pune. She was involved in executive training for the SBA and Freddie Mac substantially assisting in curriculum development and presentations for Consumer Credit Education sponsored by Freddie Mac promoting financial education to students, as well as minorities and women.